Found 5 file extension associations related to R-Link Toolbox and 4 file formats developed specifically for use with R-Link Toolbox. 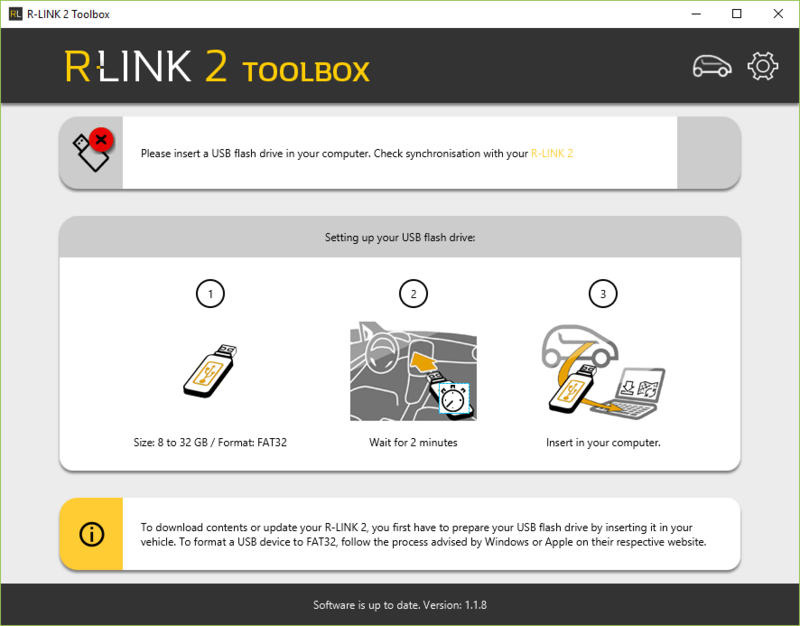 R-Link Toolbox is the essential tool for creating your personal R-LINK Store, downloading products purchased from the R-Link Store onto an SD card or USB stick, downloading free updates and managing products you have already purchased. If you need more information please contact the developers of R-Link Toolbox (Renault), or check out their product website.